In my previous blog (link) I explained How to add extension points to smart template application using ReplaceFacet via breakouts. While working with smart template apps, I had a requirement to add a new custom column in a responsive table under List Reports and Object Pages, So I had understand the concept a little deeper and implement it. Hence I felt like going for a blog on this. Before we go into the detail, Why do we need a custom column in a responsive table of smart template application ? In a Smart template applications the UI.LineItem annotation will generate a Smart table which will internally have a responsive table with the columns having read only fields like Label, Text or ObjectHeader. So if there is a requirement to have a input box as column cells or may be toggle button or any other custom control of design choice, then we need to add a new custom column for the Smart table of the Smart template application. Basically for extending a column of a responsive table we have to follow particular patterns for List Report and Object Page.i.e If we need to extend a column in Object page we have to configure the manifest.json in a different way when compared to the table in a List Report page which I will explain in a later step. I have a smart template application created in SAP Web IDE with an Odata service, also it has a list view and an object page. For the table in the List Report I would like to add a new custom column which has sap.m.Input in the cells. Open the ListReportTableColumns.fragment.xml and add this code in the file and save it. In this code we are creating a new fragment for a custom column with the column name as “Note” and the custom data provided will have columnKey as Test and columnIndex as 3 (for having the column in that position). After this step click on the ListReportTableCells.fragment.xml and add this code and save. So here we added a fragment definition for sap.m.Input as the cell for the new custom column to be added in the table. Note: Here we can bind the value of the Input control either with any hardcoded data or with any property from the EntitySet as done in control binding. The above steps are common for extending a column of table in List report and Object page. The next step is to configure the manifest.json, I will explain how to configure for List report and Object Page one by one. In the manifest.json navigate to the “extends” property, where we put the fragment name inside the viewExtensions attribute and under the template “sap.suite.ui.generic.template.ListReport.view.ListReport”. And under these we need to give the fragment names , class name and type. So now we were able to add a new column to a responsive table in List Report view. 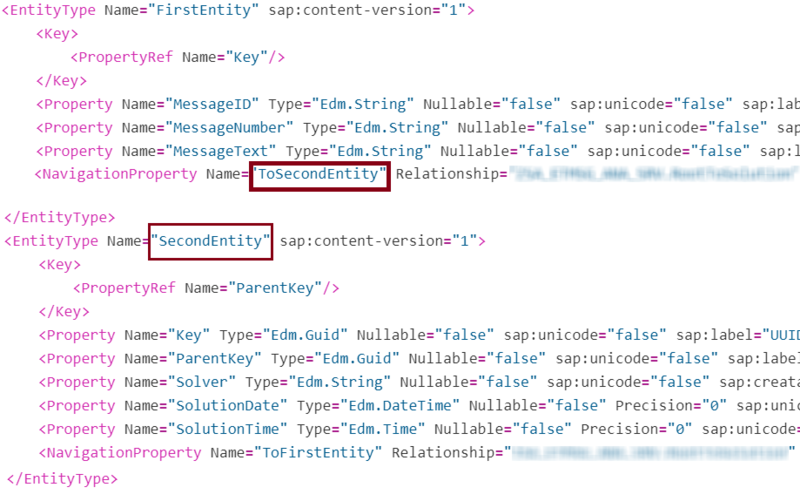 In the manifest.json navigate to the “extends” property, where we put the fragment name inside the viewExtensions attribute and under the template “sap.suite.ui.generic.template.ObjectPage.view.Details”. 1. Since we are doing the column extension for a table in Object Page, I have renamed the ListReportTableColumns and ListReportTableCells fragments to ObjectPageTableColumns ObjectPageTableCells respectively for a better readability. 2. This will work correctly when the EntitySet of the table is put along with the navigation property of which it has been pointed from. i.e in our example the “SecondEntitySet” is the entityset bound to the table in object page and the corresponding navigation property from the “FirstEntitySet” i.e . “ToSecondEntitySet” has be added. If this is added incorrectly then the column will not be rendered in the table. This is very important and has to be added appropriately. Now we find the new column with the input cell rendered in the table under an Object Page. By this way developers can easily write extensions via breakouts to add custom column to responsive tables and also this logic can be applied for Tree Table , Analytical Table and also Grid Tables. Hope you find this blog helpful 🙂. 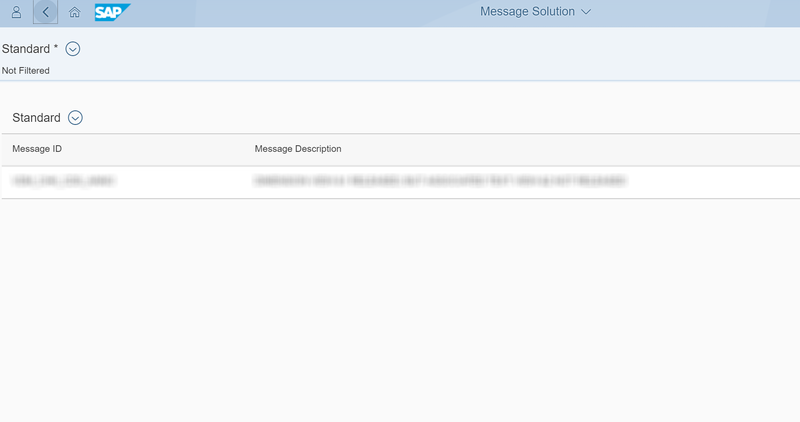 Further more, I will come up with few more blogs related to Smart templates, Fiori and SAPUI5. Thanks for this useful blog Ananthanarayanan! Are you mentioning about the Attachment service for smart template application ? I added custom column to my grid table (thanks for shared information). The new column uses formatter to shape DataField value of LineItem. However, I’d like to hide the original column. I cannot remove it because I would lost the value. I tried to apply UI.Hidden annotation on DataField but with no success. Could you advice, please? The UI.Hidden annotation should work if the UI5 version is above 1.53.0. I need Grid Table in my list report Page . A show details button is hown if it is a grid table. Can I get similar carousel like a responsive table? Firstly, thanks for your blog! I followed your instructions and successfully added a custom column in a table within ObjectPage. But the only Datafield which was editable isn’t editable anymore. Im not able to add any property from entityset can u help? Sorry can be a bit more specific in the requirement? nice blog ty. But for me … it doesn’t work 🙁 I am on 1.38.11 version maybe this process is not supported ? My twos fragments are the same as yours. My main entity is Header (Set Headers) and my navigation property is ToItems (from Headers > Items). Nothing appears. Do yuo have any advices ? Did you try a higher version ? Thank you Ananthanarayanan for this great blog! Is it possible to add a custom column to specific position in the responsive table (on the ListReport page)? AFAIK you added the column to the last position.